"After more than four decades of breeding Alpacas, I can identify some modest achievements. The Accoyo herd is uniform in all respects. I have been able to breed well-defined Alpaca phenotypes with an absence of atypical animals. There are no Huarizos, Suri Huacayas, or Huacaya Suris in my herd. 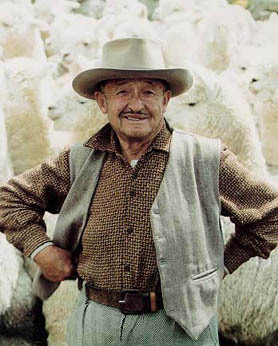 The Accoyo production charts document a doubling of annual fleece yield per animal since 1946. During the same period, the herd's average body weight per animal has increased 25%. I have also created a second line of Huacaya bloodstock which I call "select." This herd his being selected for fineness. I have great expectations for this project, and from time to time, we end up with exceptional little cria. I attribute Accoyo's success at breeding Alpacas with superior production qualities to the father's lineage. My machos were all bred and selected at Accoyo, and my herd has not suffered from the influence of unknown sires with unknown fathers. I can truly say that the sires at Accoyo have been more than enough, and I am proud of the results."